Editor’s Note: Below is the story of the Paesano family’s fire. To donate to their GoFundMe page, click here. The hardest part about loss is that in most cases, it is instant. There are no final goodbyes because there is no way of knowing that the last will be the last time. Within seconds, precious belongings became dust, photographs materialized into ashes, and the expectation of seeing their home again was snatched away from Nick Paesano and his family. August 7th began as just a regular Tuesday. Mr. and Mrs. Paesano fed their dog Tonka, and headed off to their jobs as a chef and a paralegal respectively. Meanwhile, Nick Paesano was indulging in a rare, yet relaxing day of snuggling on the couch of his college apartment with his girlfriend Bethany while watching Friends on Netflix. He was appreciative to absorb the serenity of the day before his hectic life as a dual major would start up again. But before Chandler could get the chance to finish verbally sparring with Monica, Nick got a text from his mom that would change his life forever. 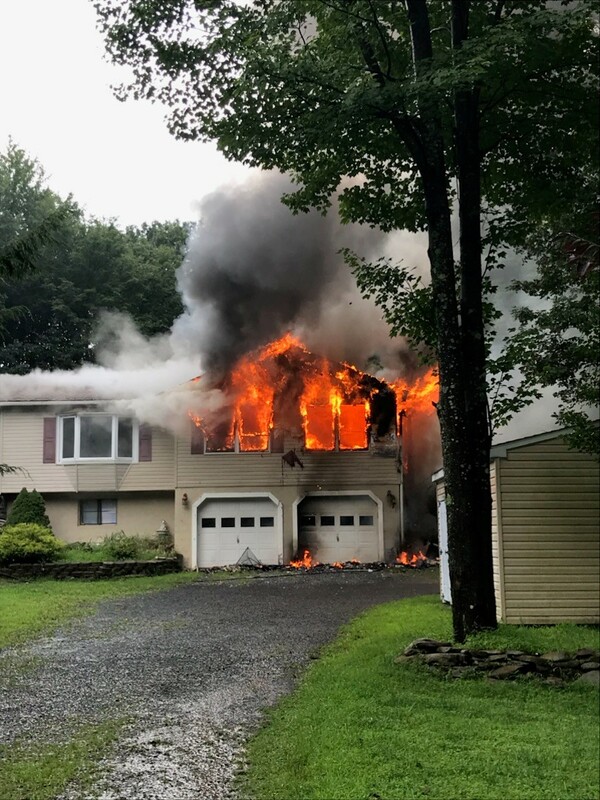 A storm rolled into the Pocono mountains and let out lightning that struck their propane line.The flames were instant and unforgiving. Neighbors watched in horror as the fire engulfed the Paesano home of 30 years into its chaotic clutches. “The house caught on fire. Its gone,” the text read. Accompanying the text was a photo of his house engulfed in flames. A few days later, they were able to go back to the house to see if anything had survived the fire’s touch. The house reeked of smoke, mildew, and sorrow. “It was a disgusting smell that you wouldn’t think it would smell like “said Nick, wincing as he recalled the horrid scent. Altogether, all of the surviving items couldn’t fill a college dorm room. But they were substantial items never-the-less. Among the survivors were wedding photos, their grandfather’s army uniform, a prom gown, and graduation tassels. Some memories are too strong to be destroyed. Despite their feelings of grief, helplessness, frustration, and sorrow, each member of the family felt gratefulness more than anything. 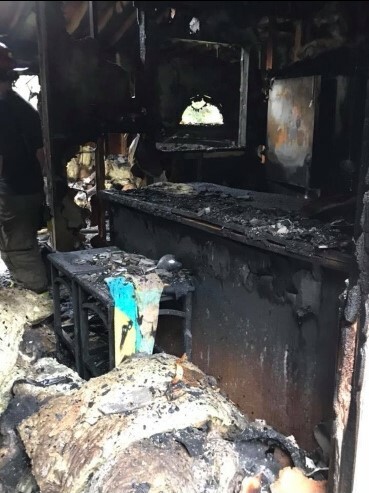 They were grateful that nobody was home, grateful a good Samaritan saved their dog from the flames, grateful some things were salvageable, and grateful for the support that friends, family, and strangers instantly gave to them. “We’re beyond fortunate with the severity of it,” explained Nick. Fortunate. A family who just lost nearly all of their worldly possessions still self-identifies as fortunate. The strength and humility of the Paesano family is something to be applauded, and striven toward. Click here to go to the Paesano family’s GoFundMe page.